What do you think, which food is the best to get ripped fast, nuts or fish? 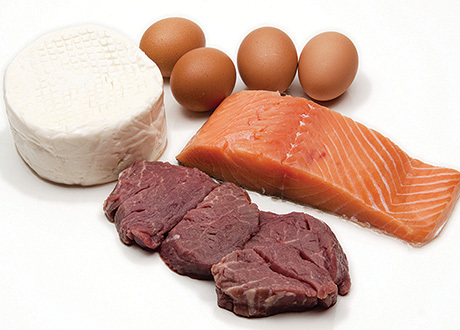 Most of the people know that protein intake is important because it helps building muscles. But muscle growth is a process requiring nutrients other than proteins. Lifting weights and spending energy stored in the form of muscle glycogen, should be offset by a healthy portion of carbohydrates, which replenishes muscle glycogen reserves and increases insulin – a hormone important for delivering amino acids to muscles. Therefore, we listed a few products rich in nutrients useful for muscle growth. Many people do not eat meat, but how can you bring the desired protein amount in your body if you do not eat meat? The answer to this question is quinoa. It is a healthy grain that grows in South America and is considered to be rich in proteins, because it contains each of the nine essential amino acids. Quinoa also does not contain gluten, can be easily digested and contains fiber, magnesium and iron. Having in mind all these nutrients, is not surprising that Incas called quinoa mother of all grains. Almonds are another product rich in proteins as well. Just ¼ cup of almonds contains nearly 8 grams of protein, which is nearly 2 grams more than the value in one egg. Almonds are also an excellent source of unsaturated fats, which are heart-healthy. Almonds also contain magnesium, a mineral, used in more than 300 biochemical body reactions and is also known as a helping hand in protein synthesis. Probably there is no bodybuilder who avoids including mozzarella or cottage cheese in his diet. Read the product label and you’ll know the reason. Just ½ cup of cheese contains 14 grams of protein, less than 80 calories and less than 2 grams of fat. Combine mozzarella or cottage cheese with every meal and consume a meal rich of protein. When it comes to building muscles, fish is the biggest rival of chicken. If you take salmon for example, 100 grams of fish contain 25 grams of proteins. Fish also contains other health-friendly nutrients. Salmon contains omega-3 fatty acids. It is also an excellent source of vitamin D. So, fish like tuna or salmon are simply the best choice of protein food for muscle growth.